For most consumers, the number one factor when buying a computer is for it to ‘just work’ without them having to play around with various settings or install drivers for various hardware components. With the introduction of the Software Centre, there’s now one place where the user can install, remove and update all of the software on their computer. Introduced with Ubuntu 9.10 in October, the functionality of the Software Centre will grow with the release of future versions, eventually replacing other applications such as the Synaptic Package Manager and taking over their functionality by incorporating it into the Software Centre. 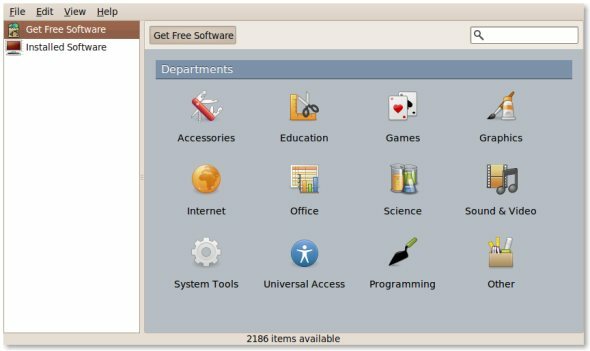 In many ways, having a program that allows users to manage every application on their computer is much easier than hunting all over the net for applications when on Windows 7 or Mac OS X. It’s a great feature, being able to search through a catalogue of programs similar to how you would on a mobile OS using Apple’s App Store or the Android Market. If I happen to have a terminal window open, I still find myself quickly installing applications with the apt-get install command, but there’s no doubt that the Software Centre is a much more comprehensive library. Future plans include the ability to purchase paid applications through the Software Centre too, which will definitely be a killer feature if implemented correctly. I definitely believe that the key to attracting more users to Ubuntu is an extensive range of hardware support, as many users new to Ubuntu will be unfamiliar with the operating system and having to configure hardware after installing won’t make a great first impression for many, as they’ll have to hunt around the net finding various drivers. On a positive note however they will have the help of the brilliant community that surrounds Ubuntu, with lots of people helping out each other on the forums and solving problems for newcomers! Linux Training Week: Which Distribution To Choose?